Also available from eBay and hobby shops worldwide and online. Advantages: Beautifully designed, researched and executed. 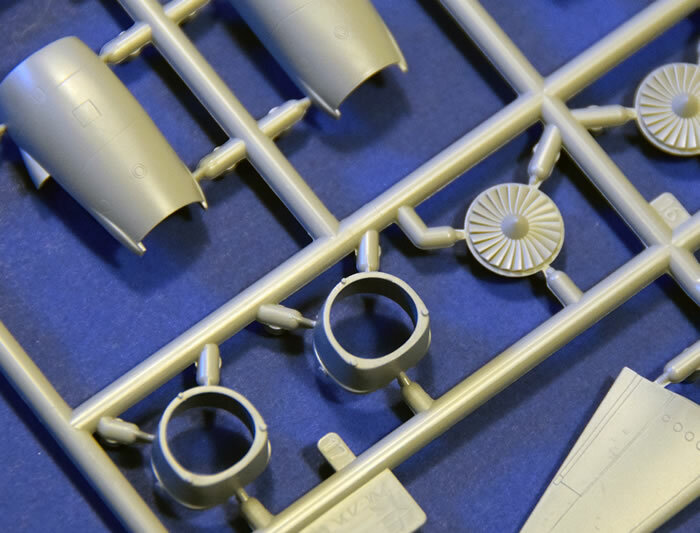 Zvezda (“Star” in Russian) has positioned itself as a major player in the model kit industry, having made impressive strides in accuracy, design, and execution of its new kits over the past few years. 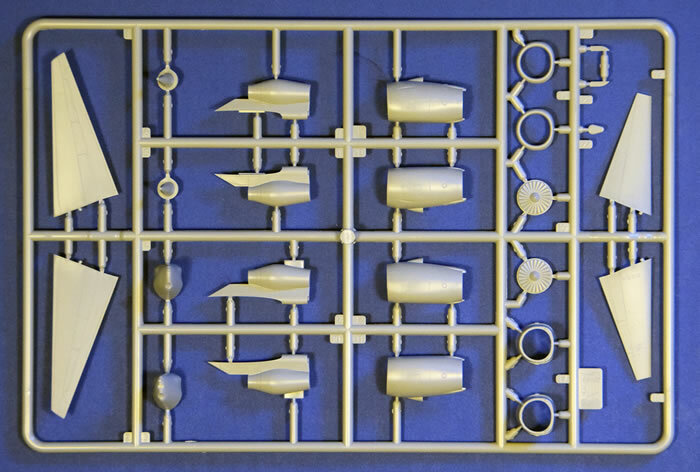 In addition to military aircraft, AFVs, and ships, they have dabbled in airliner models, with kits spanning both the Soviet/Russian and western worlds. The latest of these is the world’s most popular airliner, the Boeing 737-800. 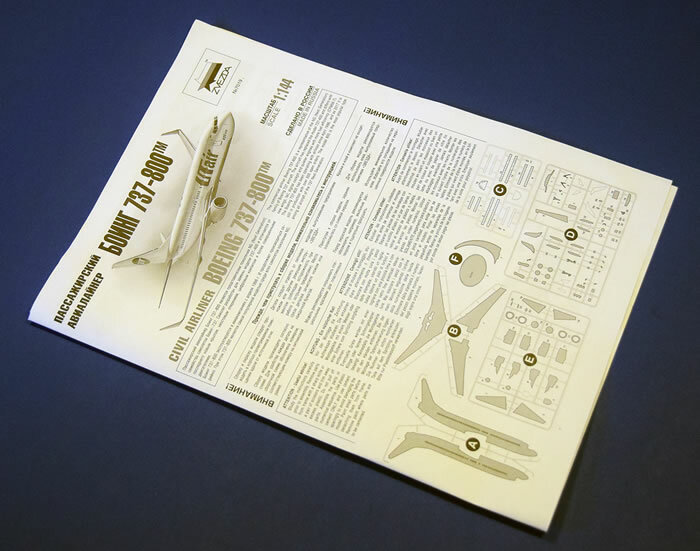 Revell Germany produced a kit of the 737-800 in 1999, and while a nice effort for the time, it has some accuracy issues, and only the later issues have the characteristic blended winglets, which are unfortunately about 25% too small. Zvezda has come to the rescue with this gorgeous new kit. 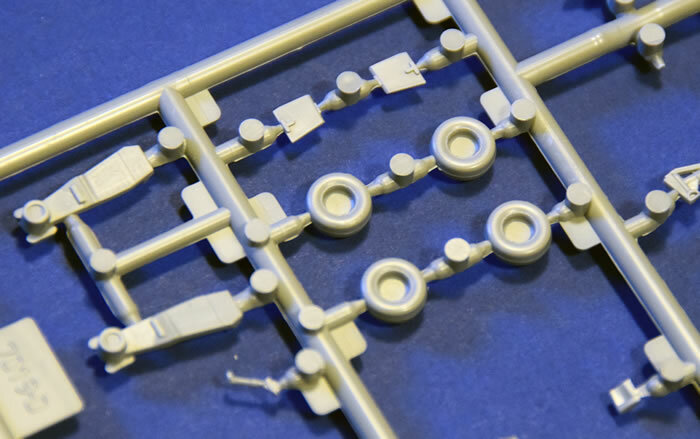 Molded in typical light grey styrene, with Zvezda’s trademark extremely fine engraved surface detail, Zvezda has really gone to town on this release. I’ve had a “thing” for the 737 ever since I can remember, and I’ve spent a lot of time studying and illustrating them over the years. I can tell you that from everything I can determine, this kit comes as close to being “100% accurate” as any model kit I’ve ever seen. Dimensionally it is spot on the money in every way I have measured. 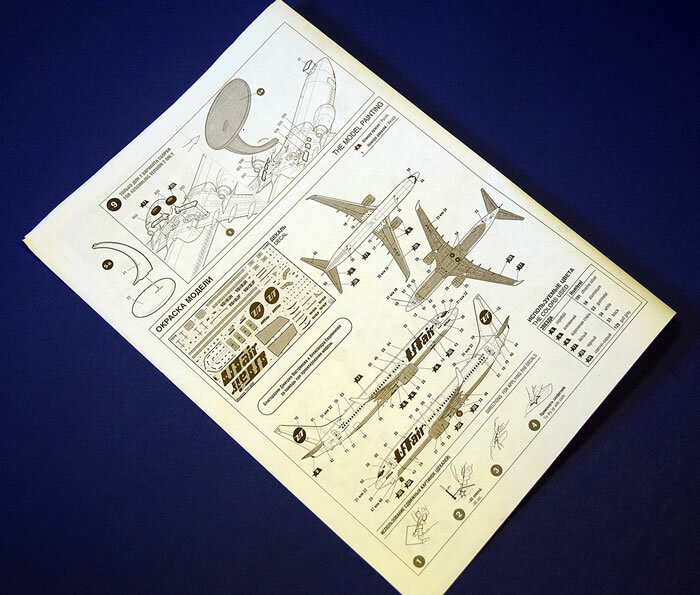 Zvezda have had access to the 3D surface shapes of the aircraft as part of their licensing from Boeing, and it shows. 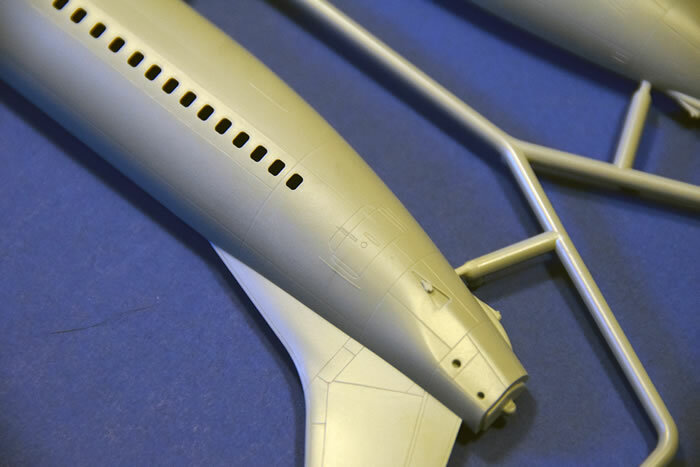 Every square inch of this model absolutely captures the shape of the real airplane. With over 5,000 aircraft built, the 737-800 is far and away the most numerous 737 variant, and this is the one modeled by Zvezda. With that many aircraft in service, it’s inevitable that incremental improvements have been made in the 20 years they have been in service. Zvezda has gone to some lengths to cater to those differences. The kit provides three distinct types of wing tips: the original style, the Blended Winglet, and the newer split scimitar winglets now standard. Both types of winglets are accurate in size and detail. Unlike some other Zvezda airliners, this one comes with all of the control surfaces molded in the retracted position. The wings are a single lower piece from tip to tip, with separate upper surface parts. 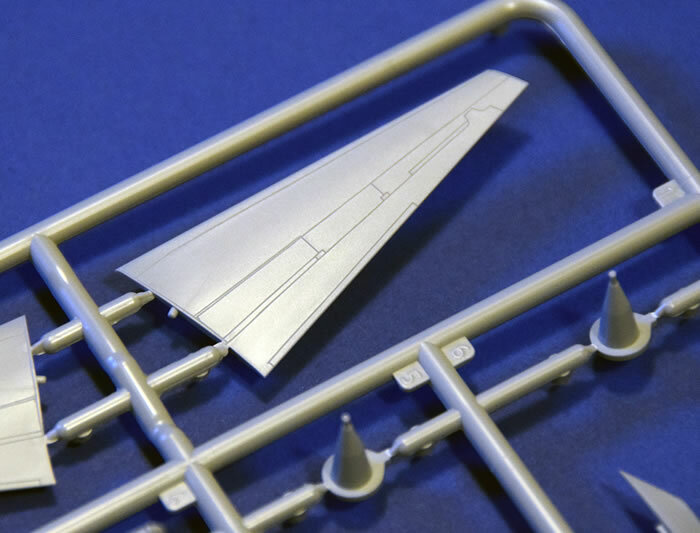 Unlike other airliner kits, the leading and trailing edges are molded with the upper surface, eliminating the edge seams and allowing for razor thin trailing edges. The fit here (and throughout) is outstanding. There is basic structure for the open main wheel bay, and if you really wanted to, you could go to town with detail in this area. 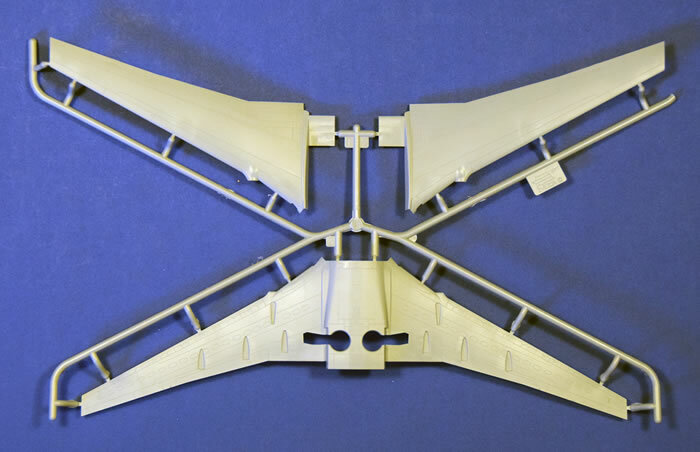 The flap track fairings are all separate parts, with each being a single molding (no seams) that seats down into a small depression in the lower wing. The 737NG is fitted with two Environmental Control System machines to condition compressor bleed air before it is introduced into the cabin for pressurization. The intakes for these machines are the two small NACA type intakes on the lower wing center section. There are dual ECS exhausts just forward of the main gear well. These exhausts were originally an oval opening, but on more recent 737NGs (from line number 4302, delivered in December 2012), the oval opening was replaced with a rectangular louvered type exhaust. Oddly, Zvezda has portrayed this area as a smooth continuous surface with no exhaust at all, so reference to photos is in order. 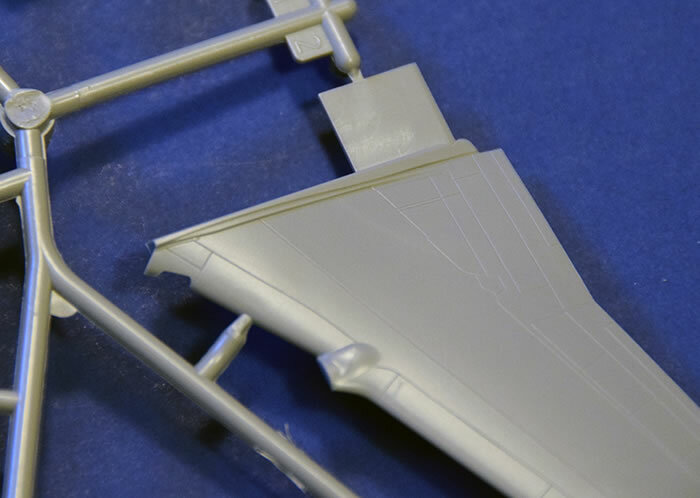 Horizontal stabilizers are also upper and lower parts, broken down similarly to the wings, with equally good fit. 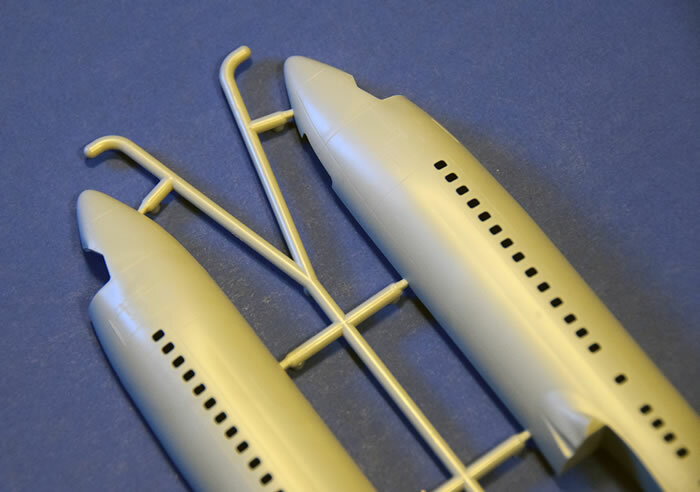 They are only attached to the fuselage by two small pins, so some reinforcement will undoubtedly be required to prevent them parting company with the fuselage at the slightest provocation. 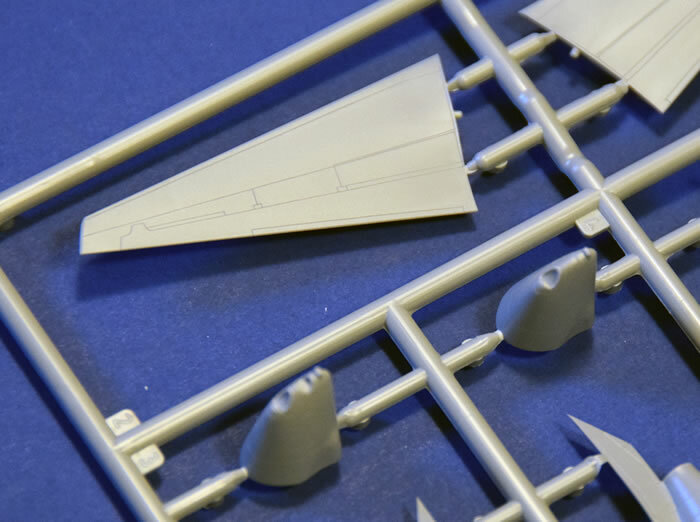 Rest assured that the airfoil section is right side up on the stabilizers, unlike the Revell kit where they were upside down. None of the stabilizer incidence tracks are molded into the aft fuselage. These really should be scribed in, or applied as decals at a minimum. 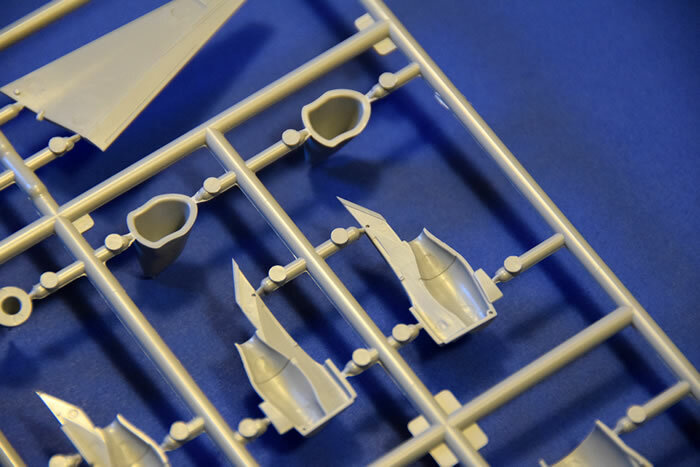 The fuselage is molded as complete left and right halves with the fixed portion of the vertical stabilizer molded in place. The rudder and APU exhaust section are separate parts. Oddly, the rudder includes part of the fixed upper fin at the trailing edge, and the resulting contour across the top of the vertical fin will need some light reshaping to eliminate a small discontinuity when the rudder is glued in place. There are two APU exhaust sections provided. 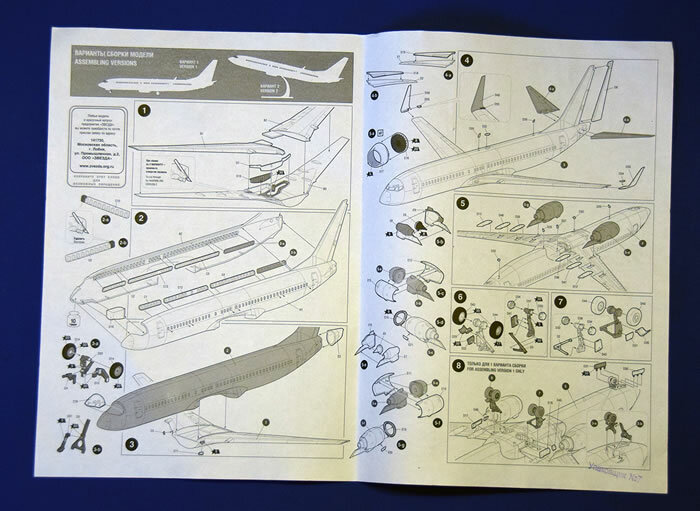 This may make the Zvezda 737-800 the only kit I’ve ever known that has a part supplied in error. Unfortunately there is an online set of 737-800 walk around photos that has some 737-400 photos mixed in with it. Zvezda was under the mistaken impression that 737NGs have two different styles of APU exhaust (they don’t), and so provided both parts. The -400 style (the one with only one APU exhaust) should be discarded. All variants of the NG have the type with two exhaust pipes. 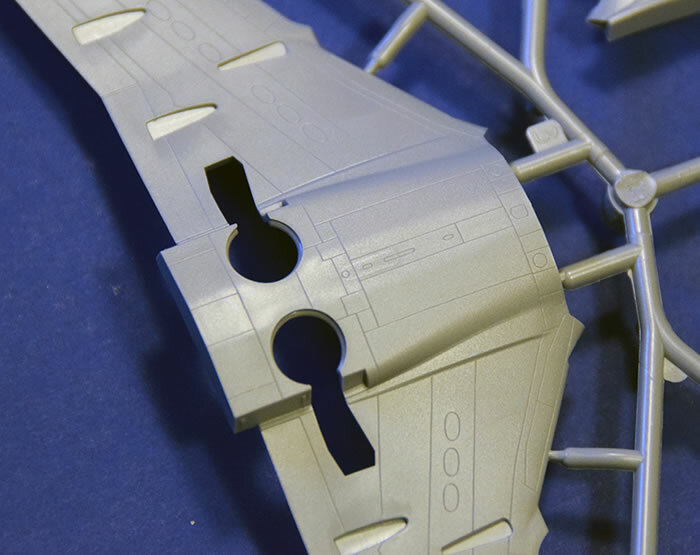 The APU inlet on the right side of the aft fuselage is nicely molded, with the small deflector door molded in place. At the nose, the nose gear well is provided as a single piece, and there are two different clear cockpit cab sections. Originally, the 737NG was built with the four small “eyebrow” windows. Later aircraft had these windows eliminated, while earlier airplanes have almost all had them plated over. This is a really nice touch by Zvezda. The shapes of the characteristic cockpit windows looks quite accurate - something that has perplexed model manufacturers for decades, even on the vaunted Daco 737-300. No cockpit detail is provided, and it’s an almost certain fact that none would be visible even if it where there. 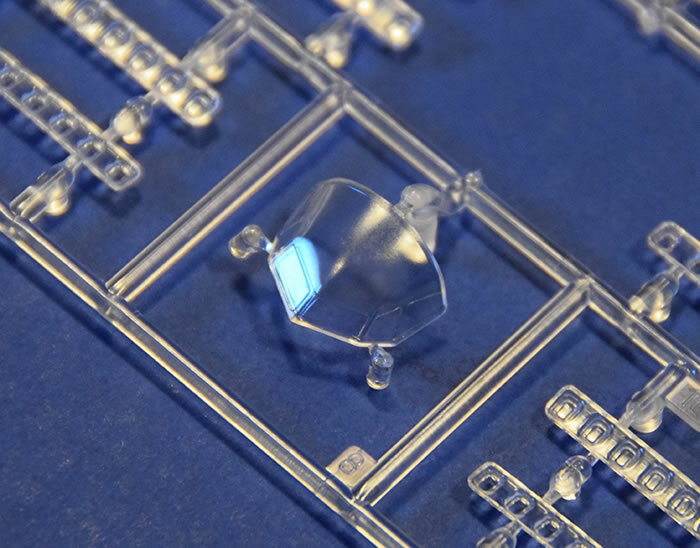 Cabin windows are molded as open holes, with clear parts provided to fill them. 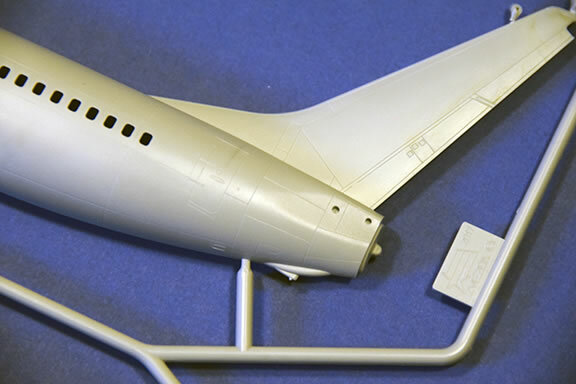 The size, shape, and location on the fuselage are correct (the window line on the Revell kit is noticeably too low), as are those of the scribed cabin doors and cargo hatches. To be totally nitpicky, the shape of the door latch handles isn’t correct for the 737, but we’re talking about something a couple of millimeters wide that’s easily remedied with accurate decals. To be equally nitpicky, the aft-most cabin window on both sides is missing, but almost all airlines have these windows plugged anyway. The structural provision for them exists on all 737s, but it’s rare to see them with glass in them. The CFM56 engines are a joy to behold. 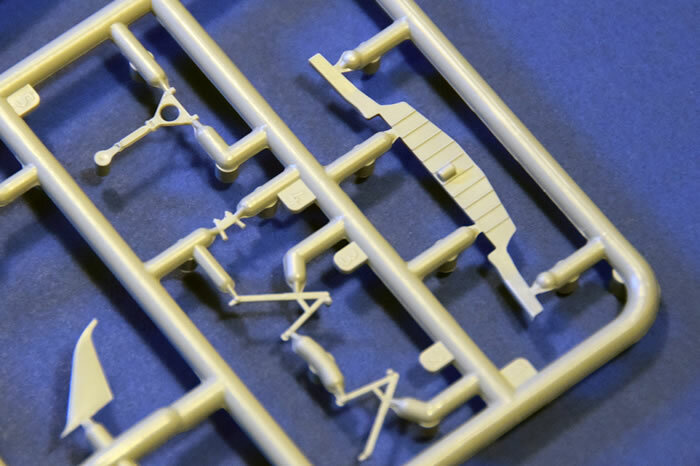 This was one area that was quite a letdown on the Revell kit, and Zvezda has learned the lesson well. 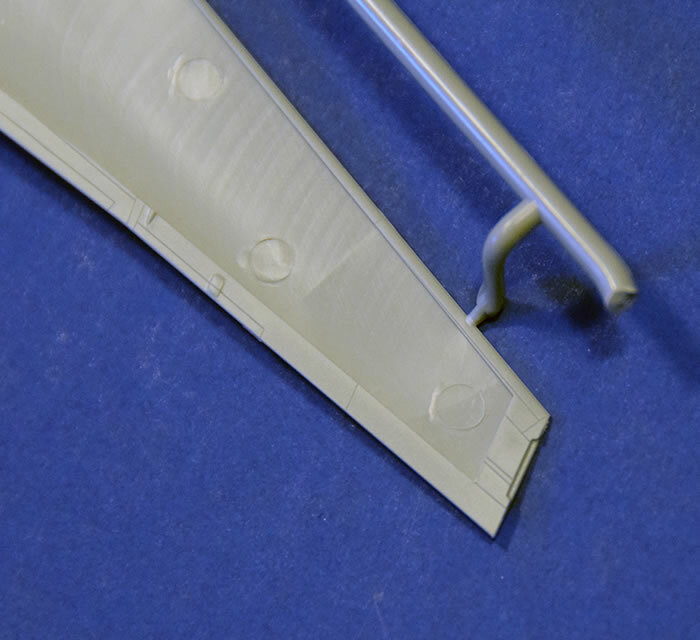 There is a seamless intake tunnel, with a separate one-piece intake lip, which will make modeling a seamless intake very easy. The hot section is molded in left and right halves. There were some photos on a Russian forum that seemed to indicate that Zvezda were providing both the earlier style CFM56 with the long hot section as well as the -7BE variant (the current production standard) with the shorter hot section. It turns out that, similarly to what CFM International did, you can simply saw off the aft-most section of the hot section cowling, thin down the trailing edge, and you’re so close to the -7BE exhaust that no one will ever be able to say otherwise! Zvezda has perfectly captured the “jowly” appearance of the nacelles. 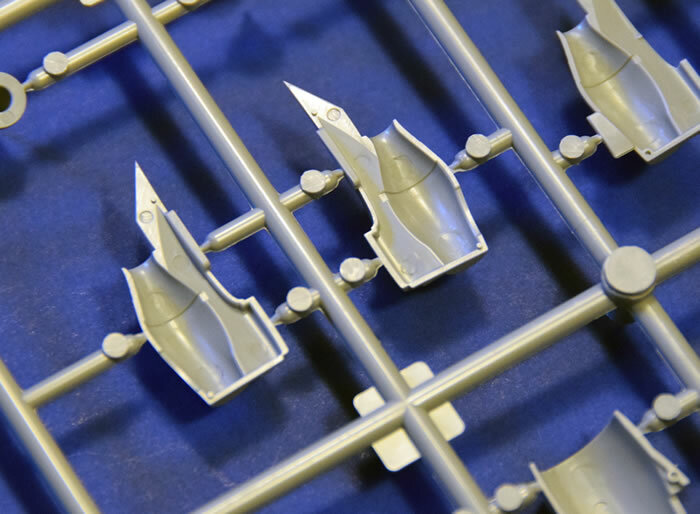 Landing gear struts are made up of several pieces for each, and are very nicely detailed for this scale. The main wheels even have separate brake rotor assemblies to which the main wheels are attached. 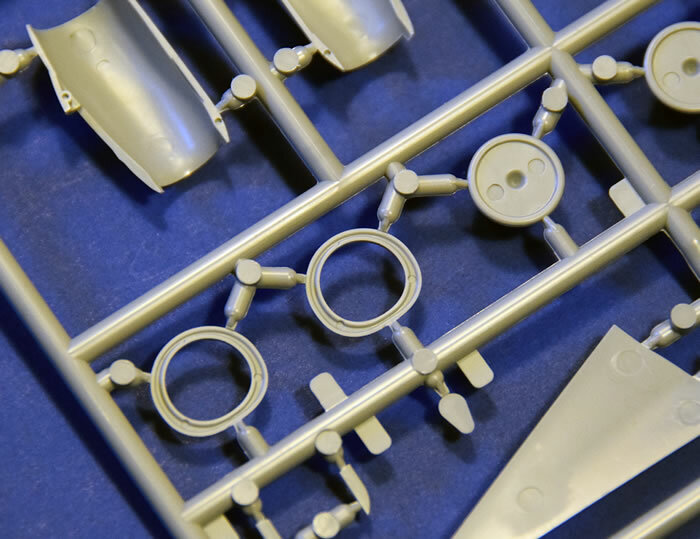 The rather complex main gear doors are several parts each which, while a little fiddly to assemble, accurately represents the real thing. 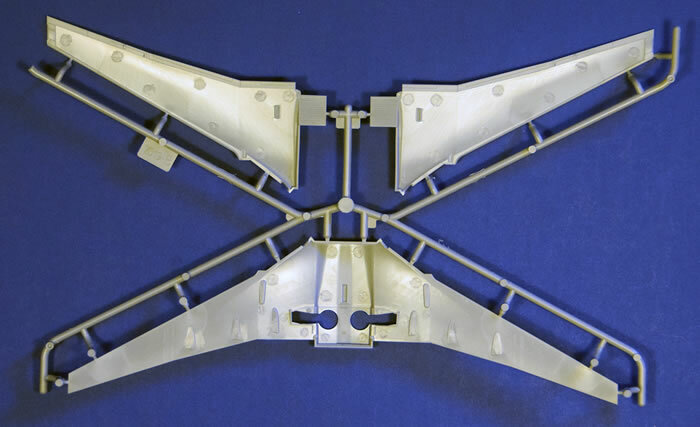 Nose gear doors, as on the real aircraft, are a single piece for each side, and are fitted with the prominent hinge arms on the inside allowing them to mount to the inside of the nose gear bay. Note that the outboard main wheel hubs are different from the inboards in that the outboards are fitted with smooth hub caps, which are exposed to the slipstream in flight. 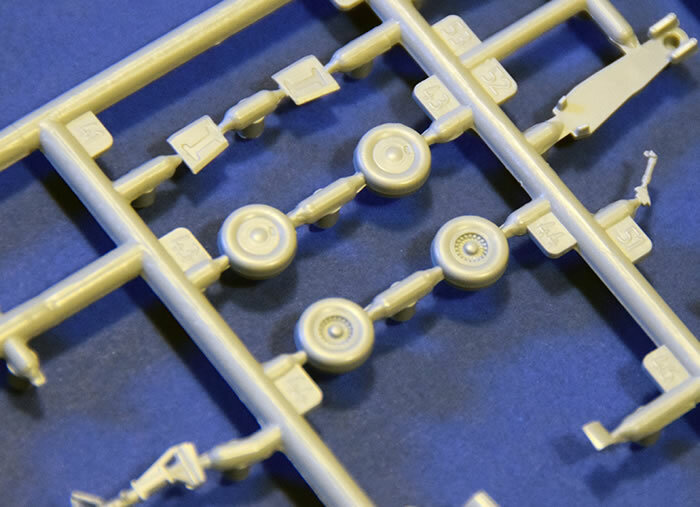 Separate parts are provided to allow the model to be built with the gear retracted - another nice touch. 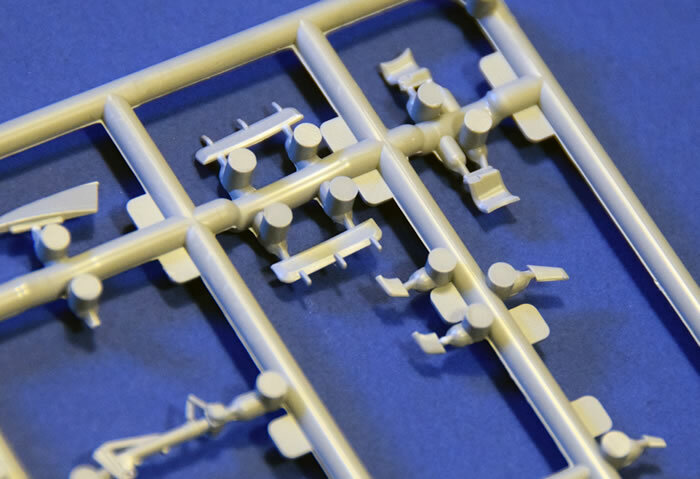 Small details in the form of drain masts, communication antennas, and an ADF antenna are provided as separate parts. 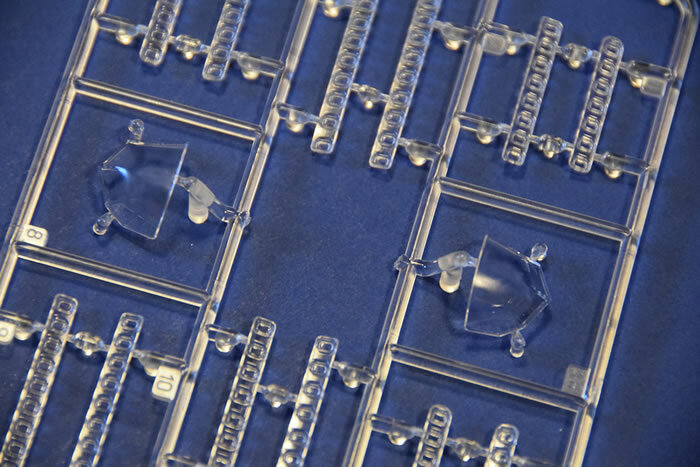 These are tiny, and will be irresistible to the carpet monster, so tread carefully! Only one ADF antenna is provided. 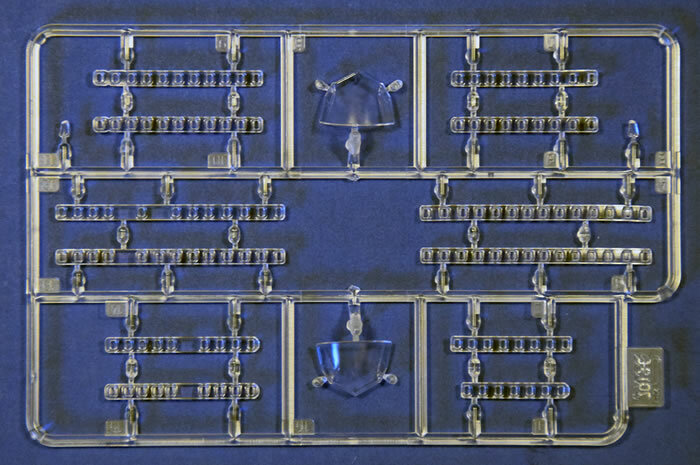 Many airlines no longer fit these at all, but many have two of them (ADF 1 and 2), so some scratch building will be necessary. Also not provided are any of the several different types of satellite antennas found on 737s. These are airline specific, and are produced by third parties, so consulting photos will be required if you wish to model them. 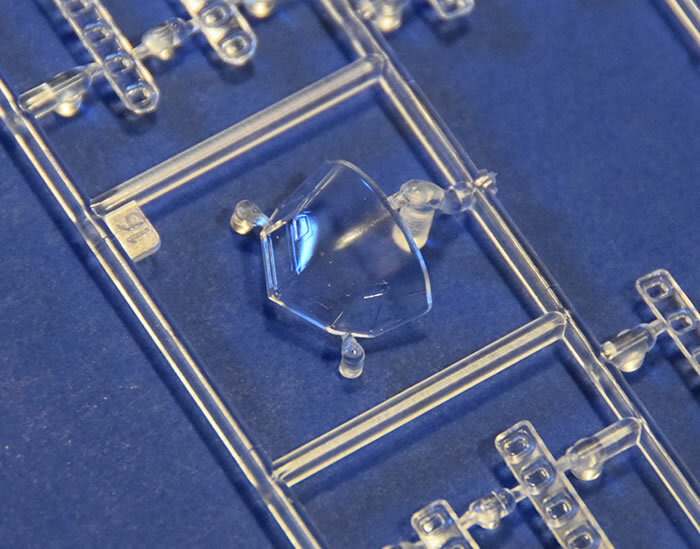 Fortunately most are fairly simple shapes that can be made from sheet styrene and/or epoxy putty. Decals are typical of Zvezda - well drawn and well printed. They are extremely glossy. 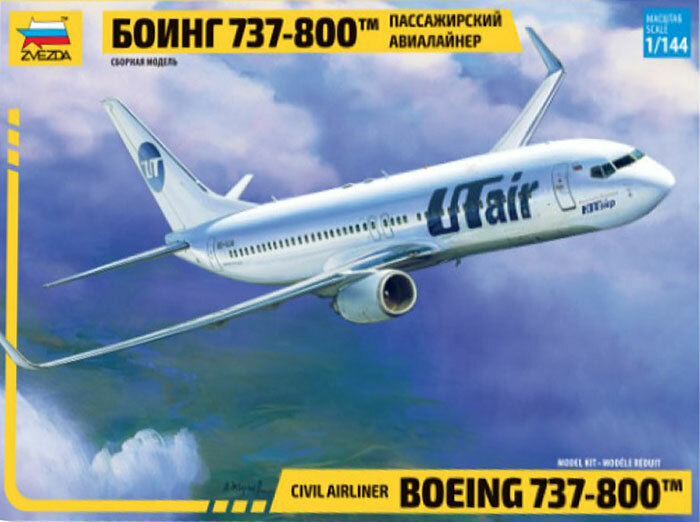 Markings are provided for two aircraft flown by Russian carrier UTair, based in the Tyumen region of western Siberia. 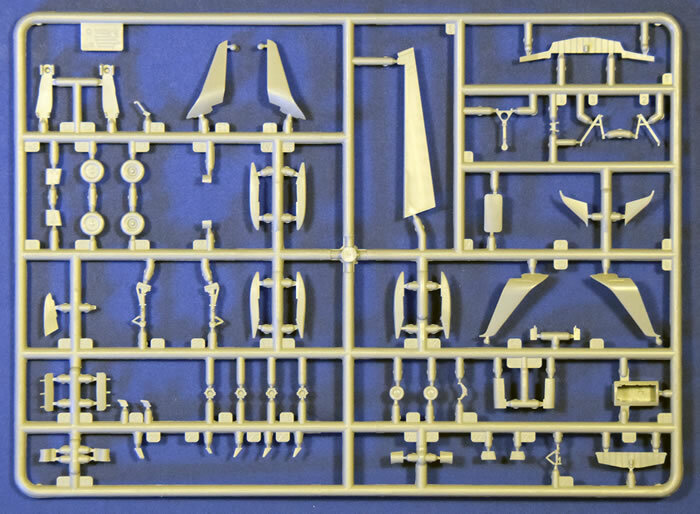 A full complement of airframe stencils are provided, as are silver window and cockpit frames with clear window openings. 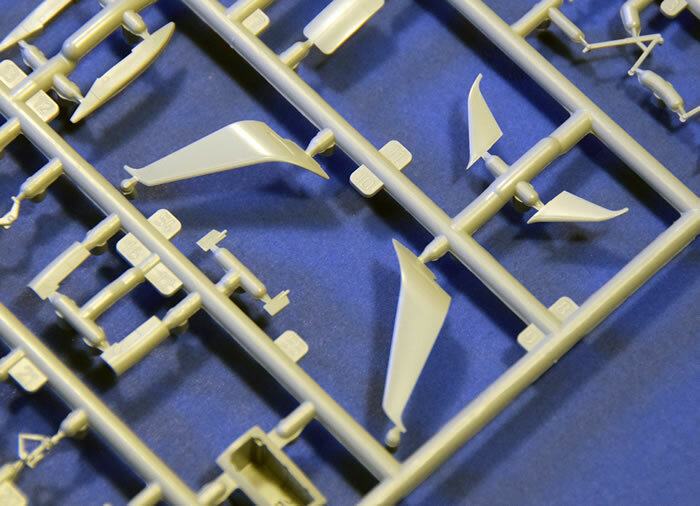 There are literally dozens of available decals designed to fit the Revell kit, and others designed specifically to fit this kit are under development (at least by Liveries Unlimited…). In summary, this is a breathtaking kit. 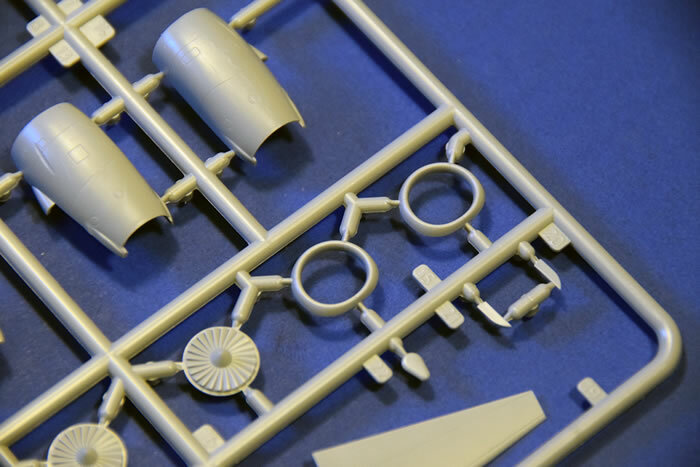 I never thought I would see another injection molded 737NG kit in my lifetime, but I’m elated at how well Zvezda has researched, designed, and executed this model. Conversion to the 737-700 and -900 is straightforward, opening up literally hundreds of airline schemes to consideration. 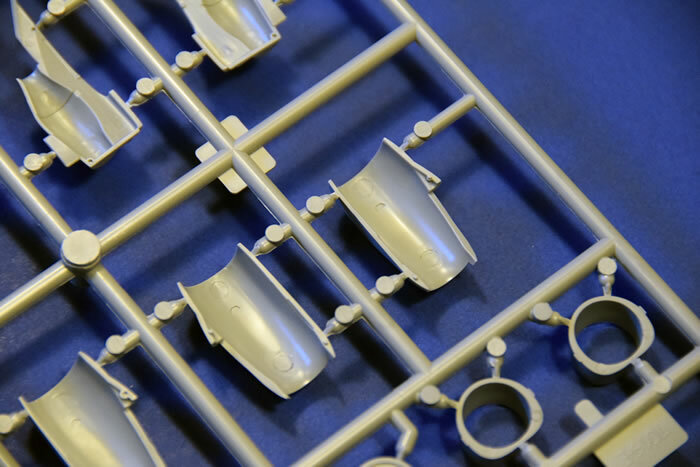 Let’s hope Zvezda does well enough with this kit to encourage them to mold a new -700 and -900 fuselage (saving the conversions), and to do the changes necessary to produce a kit of the new 737 MAX variants now coming into service.